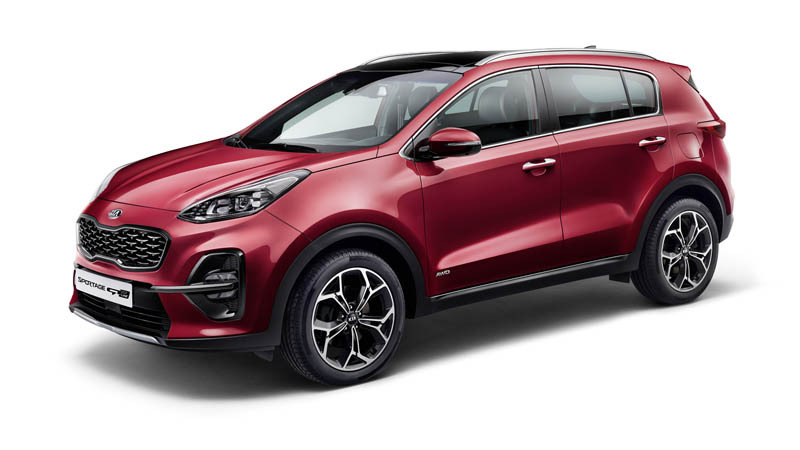 The Sportage is Kia’s biggest seller in the UK with 39,683 orders in 2017, but it also represented a quarter of all European sales last year with more than 131,000 units. For the 2019 model year, the Sportage gains new bumpers front and rear, new headlights and tail-lights, new alloy wheel designs and five new paint choices. The 19-inch wheels of GT-Line models have been redesigned, and there’s a new look for the ‘ice cube’ LED fog lights. 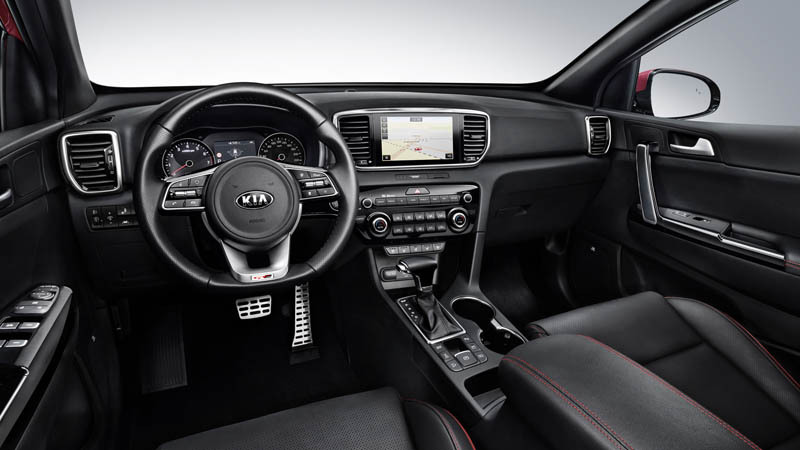 Inside, the Sportage receives a new steering wheel and revised instrument cluster, as well as new black/grey two-tone upholstery. GT-Line models also have the choice of black leather with red accents. 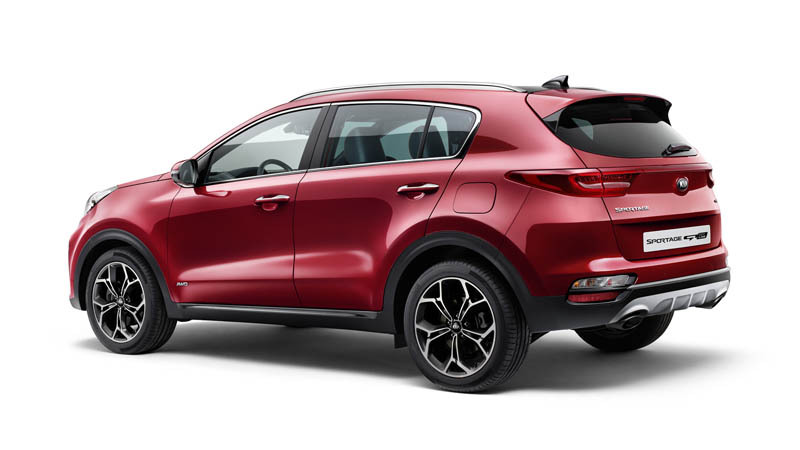 The Sportage also benefits from Kia’s updated Smart Cruise Control with Stop&Go, 360 degree parking cameras, and Driver Attention Warning. Under the bonnet, the 1.7-litre diesel engine is replaced by a new 1.6-litre unit producing either 115 or 136ps, the latter offered with all-wheel-drive and seven-speed dual-clutch transmission. However, the big news is the debut of Kia’s diesel mild-hybrid powertrain. It combines a 2.0-litre diesel engine with a 48-volt battery and a starter-generator unit. The company claims it can reduce CO2 emissions by up to 4% on the new WLTP tests. Full specifications and prices will be revealed later, with first deliveries expected during Q3 2018.